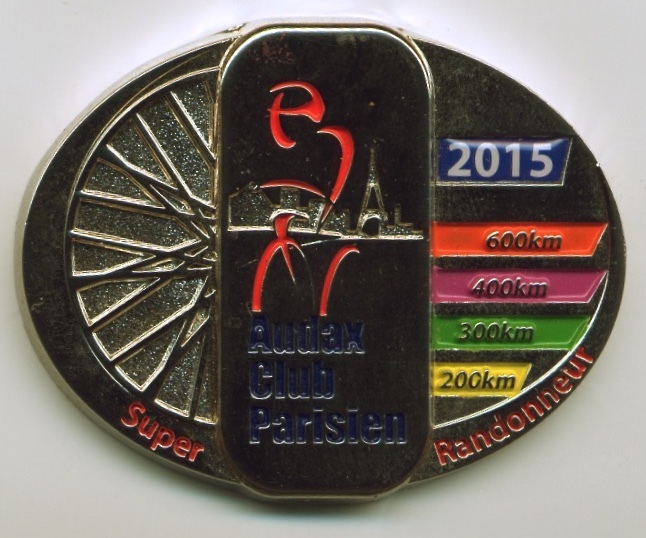 Super Randonneur & Randonneur 5000 medal designs by Audax Club Parisien. Here is the back of the Super Randonneur medal from 2015. Unlike 2014 there is no year indicated on the back. The year is on the front. 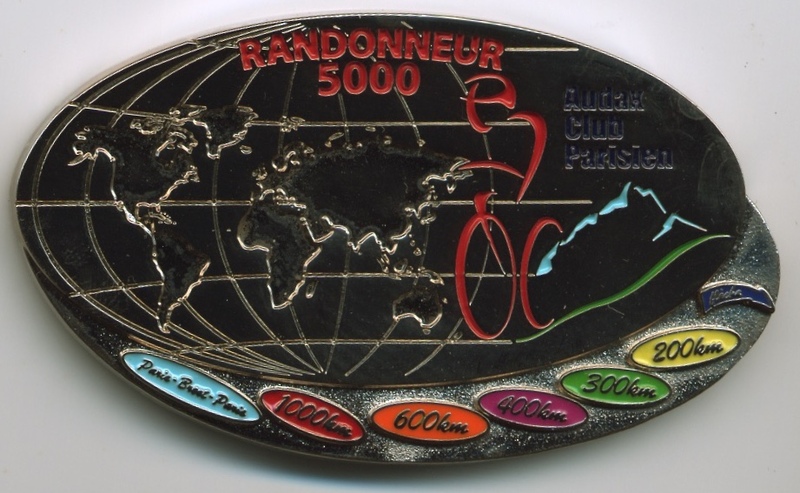 Note about the 2015-2018 Randonneur 5000 medal: Unlike the 2011-2014 R 5000 medals, the issue number is not on the back. This is Eric Fergusson's R-5000 medal from 2015. According to the certificate that accompanied this Randonneur 5000 medal, this one is issue number 2386 - i.e. 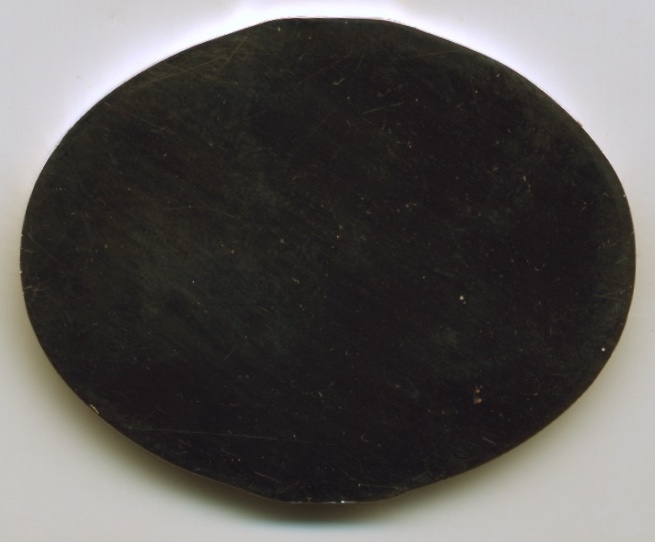 the 2386th R 5000 medal issued since the beginning of the award.